Social investment, prevention and early intervention: a ‘window of opportunity’ for new ideas? In policy studies, we talk about the rare occasions when some problems or policy solutions ‘take off’ suddenly or when an ‘idea’s time seems to come’. Indeed, one aim of Kingdon’s ‘multiple streams analysis’ is to show us that ideas come and go, only to be adopted if the time is right: when attention to a problem is high, a well-thought-out idea exists, and policymakers have the motive and opportunity to adopt it. Only then will policy change in a meaningful way. If only life were so simple. Instead, look again at that word ‘idea’. It means at least two things: a specific policy solution to a clearly defined problem, or a potentially useful but vague way of thinking about a complex and perhaps intractable (or, at least, ‘wicked’) problem. If it is the latter, the ‘window of opportunity’ may not produce the sort of policy change we might expect. Instead, we may see a groundswell of attention to, and support for, a policy solution that is very difficult to ‘operationalise’. We may find that everyone agrees on the broad solution, but no-one agrees on the detail, and we spend years making very little progress. This is the danger with several potential solutions which highlight the possibility of addressing: the fall-out from austerity and reduced budgets; the need to reduce demand for acute public services by addressing socio-economic problems at an early stage; the need to ‘join up’ a range of government responsibilities; and, a desire to move away from unhelpful short term targets towards more long term and meaningful measures of policy success. Several solutions are currently in good currency, including: the social investment model, the wellbeing agenda, prevention (or preventative spending) and early intervention. Each example represents an idea, or way of thinking about things like public expenditure, that could either underpin new ways of thinking within government, become faddish before being rejected, or provide a gloss to justify decisions already made. If the former, it could take decades for this way of thinking to become ‘institutionalised’, turned into ‘standard operating procedures’ and detailed rules to coordinate action across the public sector (suggesting that it requires meaningful, sustained cross-party support). During this time, governments will still face hard choices about which areas are worthy of the most investment. In each case, the aim is vague, the evidence is often weak, it is difficult to compare the return from investments in different public services, and the process has a tendency to revert to a political exercise to determine priorities. In the face of uncertainty, policymakers may revert to tried and trusted rules to make decisions, and reject the more risky, new approach, with uncertain measures and outcomes. The budget process is, in many ways, separate from a focus on social investment, activity and outcomes – largely because it remains an exercise to guarantee spending on established services and departments, or to reduce spending on some services at the margins. There is a level of unpredictability in politics that makes such long term investment problematic – particularly when investment in one area, with quiet winners, comes at the expense of another service, with vocal losers (as demonstrated by any move to close a local hospital, rural school or university department). A tension between long term central planning and short term electoral issues often produces incremental and non-strategic changes, in which services receive ‘disinvestment’ and are allowed to wither. 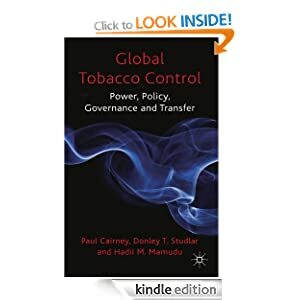 To some extent, these issues may be addressed well during regular interactions between governments and their ‘social partners’, such as when governments, business and unions get together to produce something akin to a framework in which other policy decisions are made. In that sense, group-government relations represent a form of ‘institutional memory’. Governments and politicians come and go, but group-government relations represent a sense of continuity. This could be the main way to keep social investment on government agendas, as a salient topic or, perhaps more powerfully, as a way of thinking that is taken for granted and questioned rarely, even when new parties enter office. Yet, there are problems with this ‘corporatist’ aim if it refers to government-wide group-government relations, since policy networks tend to develop on a ‘sectoral and subsectoral’ scale. Governments tend to deal with complex government by breaking it down into manageable chunks. Consequently, for example, medical and teaching unions could engage as one of many trades unions in concert with business, but they tend to speak mostly to education and health departments, in areas with minimal union-business links. Further, such groups tend to be more concerned with the targets and priorities identified at sectoral levels. They may like the idea of soft targets and long term, more meaningful, outcome measures, but have to address short term targets; they may pay attention to cross-sectoral aims when they can, but focus most of their attention on particular fields and priorities specific to their work. The Scottish Government remains part of a UK process in which monetary and fiscal policies are determined largely by the Treasury, with the Scottish Government’s primary role to spend and invest. Its position raises awkward questions about the consistency of policies, when spending decisions based on a ‘universalism’ narrative cannot be linked directly to the idea that redistribution should be achieved through taxation. The Scottish Government may be overseeing a spending regime that favours the wealthy and middle classes (universal free services with no means testing) as long as taxation is not sufficiently redistributive. 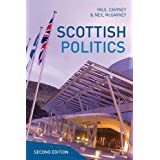 These issues have not become acute since devolution, partly because the Scottish Government budget has been high, and the independence agenda has postponed some difficult debates on new budget priorities. However, they are likely to become more pressing as budgets fall and organisations compete for scarcer resources. Current issues: more powers, more accountability? A focus on policies such as ‘prevention’ should prompt us to consider how to align priorities and powers. 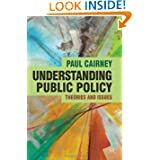 The parallel is with economic policy, in which a key concern relates to the alignment of fiscal powers with monetary union. With prevention, we should ask what’ more powers’ would be used for. For example, would the Scottish Government seek to address health and education inequalities by addressing income inequalities? If so, what powers could be devolved to address this issue without undermining that broader question of macroeconomic coherence? A focus on shared powers raises new issues about accountability. As things stand, accountability is already a problem in relation to outcomes based measures and the devolution of policies to local public bodies. In a ‘Westminster’ style system, we are used to the idea of government accountability to the public via ministers accounting to Parliament, or directly via elections. Yet, if the responsibility for outcomes is further devolved, and outcomes measures span multiple elections, how can we hold governments to account in a meaningful way? Or, as importantly, if elected policymakers still feel bound by these short-term accountability mechanisms, how can we possibly expect them to commit to policies with short term costs, with pay-offs that may only begin to show fruit after they have retired from office? These issues are further exacerbated by a shared powers model, in which we don’t know where UK government responsibility ends and Scottish Government responsibility begins. This sort of discussion may prompt us to re-examine the idea of a ‘window of opportunity’ for change, at least when we are discussing vague solutions to complex problems. A window may produce a broad change in policymaker commitment to a policy solution, but that event may only represent the beginning of a long, drawn out process of policy change. We often talk about ‘policy entrepreneurs’ lying in wait to present their pet solutions when the time is right – but, in this case, ‘solution’ may be a rather misleading description of a broad agenda, in which everyone can agree on the aims, but not the objectives. Any link with the Social Innovation paradigm? To be honest, I don’t know! If I asked is because I saw them, to be honest.